Fort Macon offers access to the beach, the sound and the Beaufort inlet. It is also a historic landmark for this area. 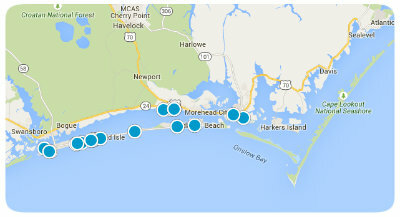 It is located at the east end of Bogue Banks and has water on 3 sides, the ocean, the sound and the inlet. This is a perfect place to explore or to go to the park that is associated with it. 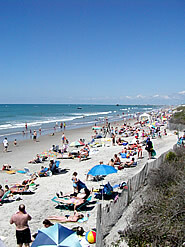 The park has beach access with a board walk and shelter, a bath house, concession stand, picnic areas and life guards. Fort Macon is the home of a Civil War fort. It has five sides and is built out of bricks and stones with walls that are 4 ½ feet thick. There are 26 vaulted rooms. In the 18th & 19th centuries, Beaufort and the surrounding area were vulnerable to attacks. There were pirates that came through the Beaufort Inlet, like Blackbeard, and there were the wars with Spain, France and Great Britain which provided threats. Beaufort was actually captured by the Spanish in 1747 and in 1782 it was captured by the British. After that the people realized the need for protection and started building forts. The fort was built where it is because of the access of the inlet. The first fort was named Fort Dobbs but it was never finished. 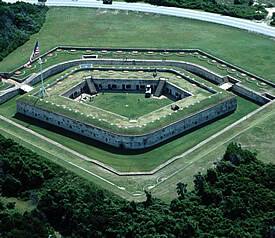 So in the early 1800’s the US government decided to build coastal forts and a fort known as Fort Hampton was built. In 1825, a hurricane swept this fort right into the ocean. The war of 1812 proved the lack of coastal defenses, so the US government built what is now Fort Macon. Construction of the fort started in 1826 and took 8 years to complete. Its purpose was to guard Beaufort and Beaufort Harbor since it was a deep water port. Fort Macon was a federal prison in 1867 until 1876. It was garrisoned in the Spanish/American War and then closed in 1903. After that, Congress sold the fort to the state and it was made a state park. It was restored in 1934-1935. It was garrisoned for the final time during WWII. The cost of building the fort was $463,790. When the Civil War began, only two days went by before NC military forces from Beaufort seized the fort for NC and the confederacy. They occupied the fort for a year and prepared it for battle adding 54 cannons. Confederates in the fort that refused to surrender. The Union forces bombarded the fort from land and sea. They hit the fort 560 times with rifled cannons. The damage was so bad that the Confederates were forced to surrender and they were taken as prisoners. The Union held Fort Macon for the rest of the war and Beaufort Harbor was a coaling and repair station for its navy. The US Army occupied Fort Macon during the Reconstruction Era. There were no state or federal penitentiaries in the military district of NC or SC so this fort was used for that purpose for 11 years. The fort was deactivated in 1877 only to be garrisoned again in 1898 for the Spanish­-American war. The US army completely abandoned the fort in 1903. Fort Macon was offered for sale as surplus military property in 1923, but in 1924, a Congressional Act sold the fort for a sum of $1 to the state of NC to be used as a park. 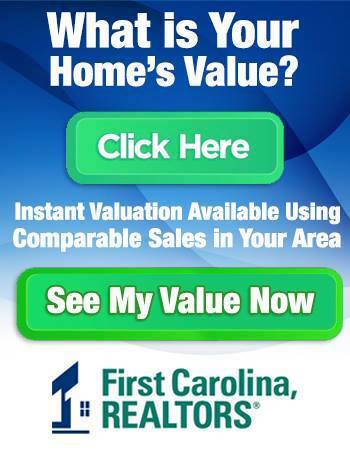 In 1934 & 1935 the Civilian Conservation Corps restored the fort and on May 1, 1936, NC’s first state park opened. When WWII started the US Army leased the park from the state and it was manned with Coast Artillery troops from December 1941 to November 1944. On October 1, 1946 the Army returned the fort and the park back to the state.